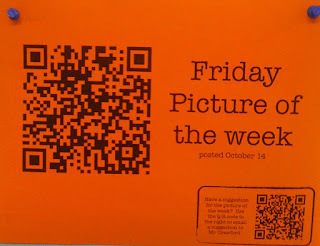 Our Physics teachers are using QR Codes with their students in a couple of ways that are pretty useful. 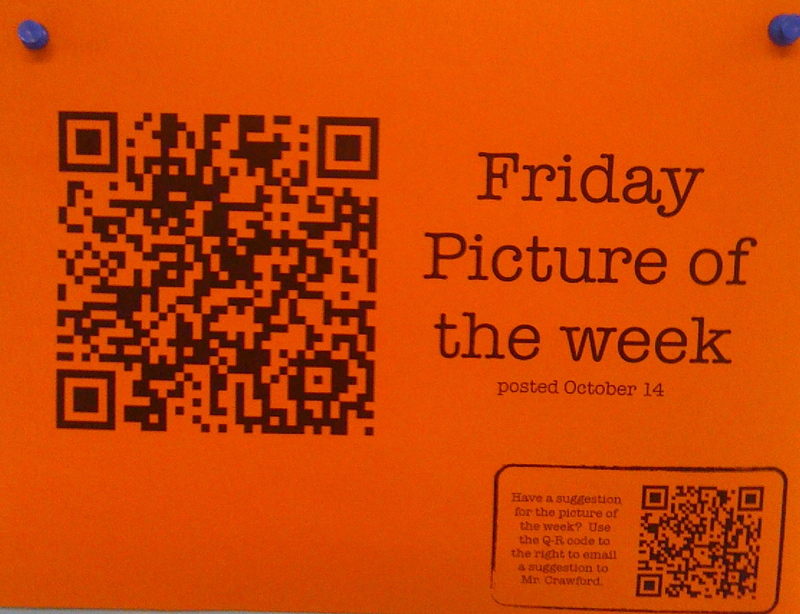 First, they are using the QR Code to take the students to a "Friday Picture of the Week." This is a picture of some physics object that the students have either learned about or will learn about. Students are encouraged to submit photos that they find throughout their work. 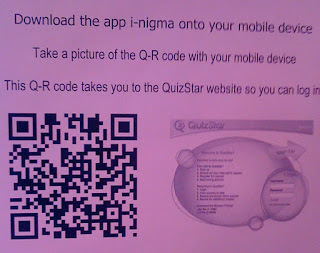 Second, the teachers use QR Codes for the students to reference online assessments using the online source, Quizstar. 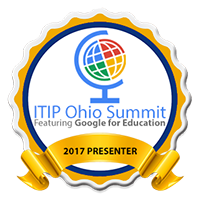 The students can use their phones, laptops, or other device to take these assessments. 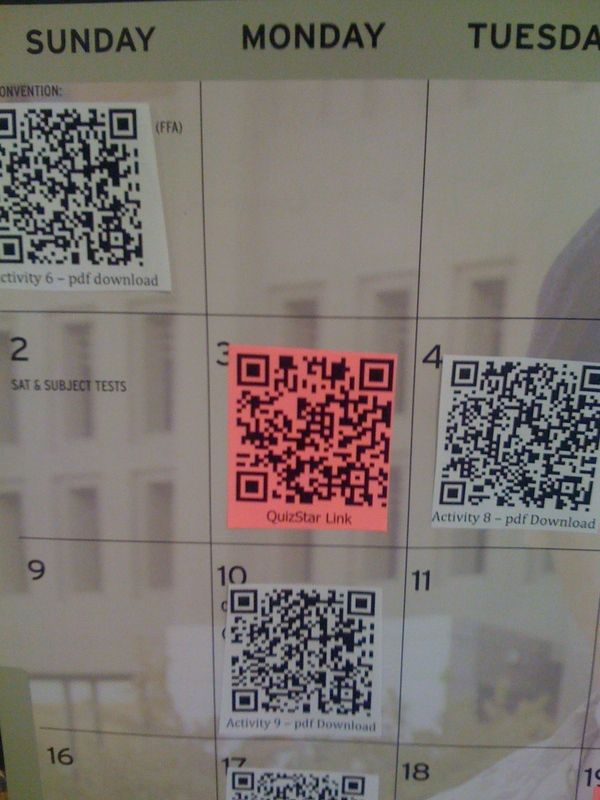 The QR Code allows the students to avoid typing in long URLs. These Quizstar formative assessments then provide the teachers with data about the students and their knowledge of the subject. 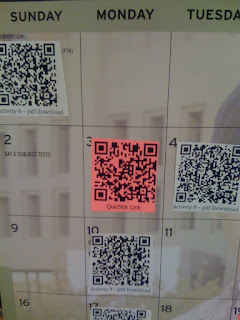 The last way that the teachers are using QR Codes is on a calendar that is on a bulletin board outside their classroom. It has QR Codes that relate to the day's activities. Some codes are for Quizstar assessments, some are for videos (that are hosted on their class webpage), and some are for pdf files that the students may need. This makes it very easy for a student to find out what happened in class on a day they were absent. QR Codes are starting to pop up everywhere. How creative can you get? 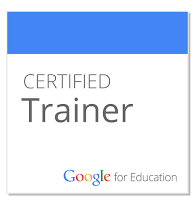 Incorporate them into your classroom. I love this! I have iPads in my class and it would be awesome to use since they have the camaras! How do I make em? One of my favorite sites to create QR Codes is http://qrcode.kaywa.com/ but there are many to choose from. Good ideas.. 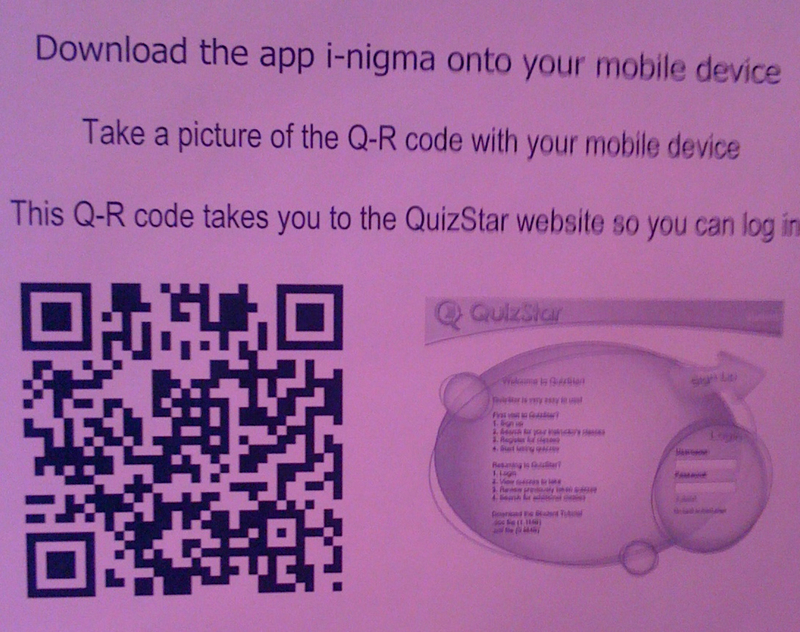 I've been sprinkling QR codes into tests for a couple of years... the code scans out to a bonus physics problem. I use snap.vu to create the QR codes, or sometimes goo.gl.